The event was a success with a large audience keeping our presenter, Arthur Raguette (EVP, Verdantis, Inc.) busy throughout the presentation. Due to the response, we’ve decided to write this blog post to provide an overview of the topics and themes covered. ERP rollouts have become increasingly frequent across industries, but not all organizations have been able to crack the code of deriving expected ROI from this complicated and expensive process. 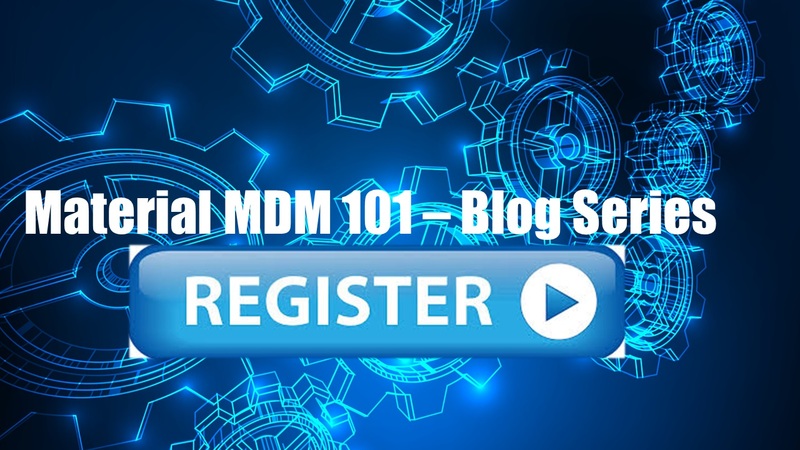 Managing the material master data quality during a rollout (whether a consolidation or a new implementation) can help add real dollars to an organization’s bottom line. 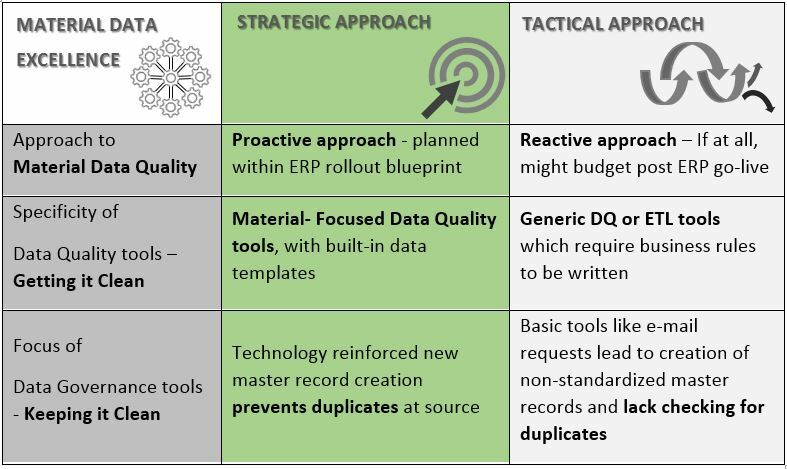 The chart below shows the difference between the Strategic and the Tactical approaches to material data quality. A lot more was covered in the webinar than is possible to capture here (without extending this humble blog post to an e-book), view the complete presentation here. In the meantime, there are other videos you can watch on our YouTube channel. Do share your feedback in the comments section below. 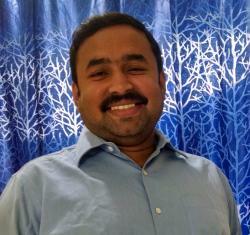 Blog – How to increase ROI on ERP investments with Data Governance? All data professionals acknowledge the importance of definitions, but there is very little guidance on how to create them, and what constitutes a good quality definition. While there are tools that can store and manage definitions, the content of definitions presents difficulties to many practitioners Yet without good definitions many practical problems can arise. For instance, it may be uncertain whether a source attribute really is the same as what is expected by a target. Indeed, definitions are especially necessary for source data analysis and data integration.